This is seriously one of my biggest fears – I have frequent headaches and often times have very sensitive spots on my skull (although I think that’s sinus related) – and sometimes I really freak out and think my brain is going to explode. I bet Bret Michaels knows how I feel – and more! It has been confirmed by the musician’s rep that he was taken to the hospital Thursday evening after suffering what turned out to be a subarachnoid hemorrhage – bleeding near his brain stem. Bret’s rep also said the singer was tormented by “excruciating headaches” earlier in the day. The latest reports are saying Bret Michaels is awake and talking; which is great, considering the odds of surviving a subarachnoid hemorrhage. According to Cedars-Sinai Medical Center, people who don’t receive proper medical treatment after suffering a subarachnoid hemorrhage have a 20% to 30% chance of experiencing a second bleed within the first month — and the odds of surviving a second bleed are extremely slim. Earlier this month, if you recall, Bret Michaels was rushed to the hospital after experiencing stomach pains – and ended up having his appendix taken out. 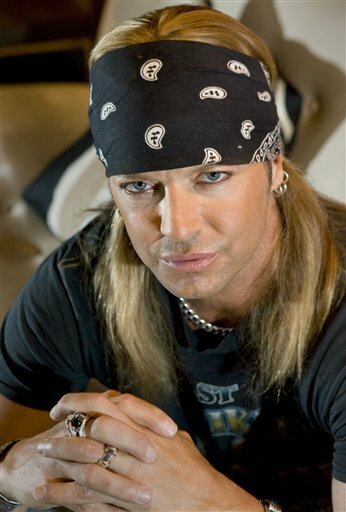 My thoughts and prayers are with Bret Michaels and his loved ones. P.S. The rumors that Bret Michaels’ daughter died, by the way, are false. Glad to hear that he’s recovering. 53 queries in 0.665 seconds.